Most of this book, for me, was 3.5/5 but that ending went ahead and bumped it up. For the length — which is a bit too long for the story, tbh — it went by so fast. I could read around 100 pages in thirty minutes and feel like no time had passed. That’s a huge plus since, sometimes, it takes me a while to read books. I prefer books that just kind of dump me into it and hit the ground running. Evie is a girl who is best friends with the Crown Prince, Nik. They both had a friend named Anna who drowned as a child. And now, in some way, she is back. A mermaid comes ashore and looks like Anna, yet isn’t her. She is in love with Nik and wants to have his heart. 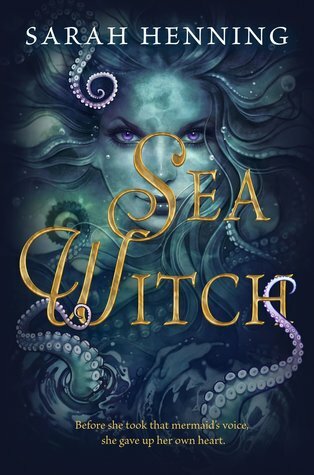 For a while, I thought this was a retelling of The Little Mermaid but there were so many differences that I wasn’t quite sure what was going on. It is definitely an odd book because it’s part romance, part origin story, part commentary on classism and sexism, and part friendship. Part of me saw it coming who the villain was, but I wasn’t sure for most of the book. When it happened, it was obvious (hence the 3.5 that I was going to give) but then events just spiraled and kept going in a way that I didn’t expect. What my rating comes down to is that I was so swept up in the story that glaring issues didn’t pop out at me and I was interested in what was going to happen. And then when I saw where the story was going, I was so excited because I wasn’t expecting it. It makes me want to reread the book to see earlier hints and signs about where the story was going. I’m so glad that I read this, especially since it wasn’t really on my radar. Basically, it was a book that I unexpectedly enjoyed. What did you think of it if you read it? It’s such a quick read, though. It’s an odd book.